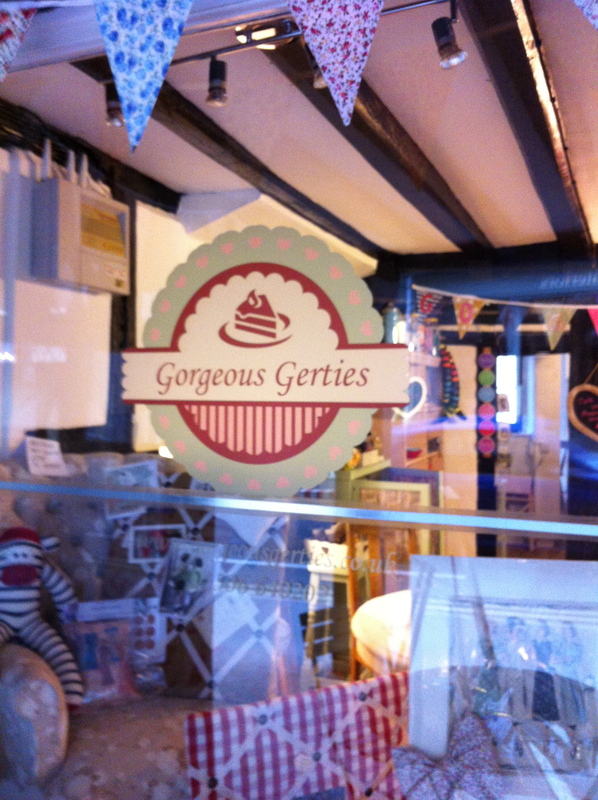 Today I popped into a new tea shop called Gorgeous Gerties in West street, Dorking. A road famous in the area for having many antique and vintage shops including my favourite The Corner house. Gerties is not just a vintage tearoom but an olde worlde sweet shop, workshop and a mix of independent retailers with little areas on 2 floors selling beautiful handmade bunting, cushions pretty jewellery, small pieces of vintage furniture and crockery etc. I normally feel a little sad when I pass Tea rooms as I can see all the delicious looking cakes on show and know that I can’t have any of them as I am gluten intolerant. But today when I popped in, there was a pretty vintage cake stand filled with a lovely selection of gluten free cake,I was so happy! Some I recognised as Honeybuns bakery cakes and biscuits and some new ones too. I’m very much looking forward to trying them, as I have not seen them before. The tea shop was very buzzy as it was the end of school time. 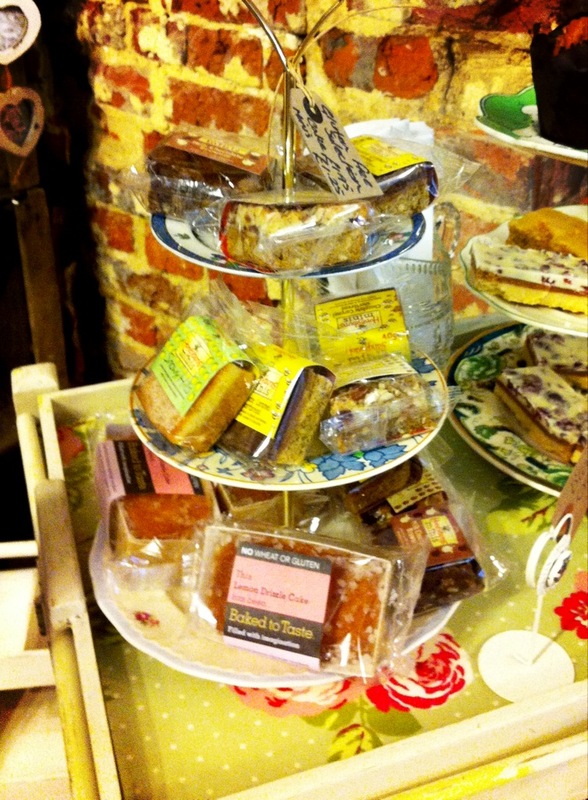 One family were having afternoon tea and had a vintage stand full of very delicious teatime treats. You can have afternoon tea from 2pm _4pm priced at £9.95 per person. I can’t wait to pop in for tea and gluten free cake very soon!